Roblin Travel’s Corporate Travel Division has effectively managed the changing travel needs of our business clients for over thirty years. We have serviced and retained some of Chilliwack and the Fraser Valley’s business clients since 1978 and have developed our corporate travel management practices and services as companies have grown and expanded, locally, and internationally. 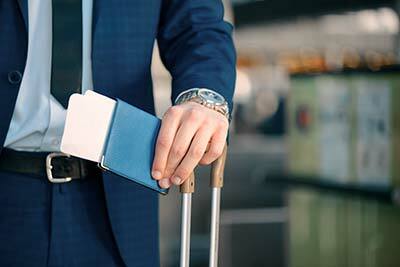 With a reputation for “high touch” service, responsive and flexible relationships and consistent application of cost-effective travel management practices, our highly experienced corporate travel management team works to simplify and streamline the business travel process. At Roblin Travel, streamlining means: designing effective customized travel policies; training the company in their use and then monitoring the implementation. It means searching our reservation systems, the internet, consolidators, negotiated fares and low fare search engines to find the best routes and fares for every business trip. It means providing dedicated corporate travel consultants who average 10 – 20 years of corporate travel experience. It means providing a proactive account manager dedicated to the needs of the clients who will negotiate the best possible air, car and hotel contracts on behalf of the client. It means keeping an extensive and current database of company and individual traveler profiles. It means monitoring unused tickets and credits and advising the clients and it means putting our very best practices into play for each and every corporate client. 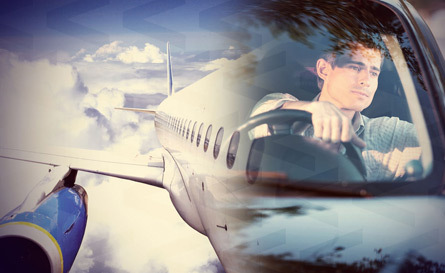 We provide a large number of corporate travel services designed to provide cost-effective, and positive, experiences for our business travelers. Roblin Travel Consultants have access to low fares utilizing the world’s largest international database for the travel industry as well as web based airlines, web based discount agencies and web based consolidators using our professional technological tools. Roblin Travel is committed to providing our Consultants with the best practices, training and access to technology on an ongoing basis to ensure our travelers consistently receive the lowest applicable airfare at the time of their booking. Roblin Travel’s team of Corporate Consultants is simply the “best in the business”. Each senior corporate consultant is dedicated to specific corporate accounts and therefore develops an in depth knowledge of business travel practices and preferences. Diverse client portfolios in a wide range of industries ensure the development of comprehensive experience in all aspects of business travel. Above all, our service standards are exemplary and it is this attention to client service which differentiates us from our competitors. Roblin Travel has Corporate Travel Consultants that have many years of experience with International travel. They have attended specifically designed international fare classes organized by international airlines. In addition to their training, they work closely with clients who travel internationally on an ongoing basis. The knowledge and experience they have gained over the years provide them with information necessary to manage all our travelers international travel requests in an expedited manner. Roblin Travel provides our Corporate Clients with access to our Corporate Traveler Profile electronically these profiles are the property of the Traveler and Roblin Travel and will be maintained in a confidential and secure site within our system. Would You Like To Learn More About Our Corporate Travel Services?